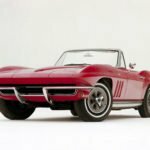 Before we look at the 1965 Corvette Specifications let us take a look at some other details about the ’65. 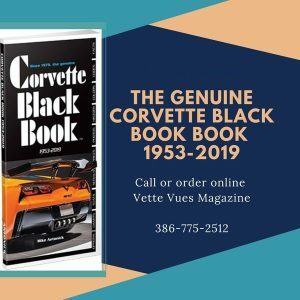 We have also included with our 1965 Corvette Specifications a couple of historical photos from General Motors Archives and a vintage Corvette magazine advertisement. The 1965 Corvette Sting Ray was manufactured in St. Louis. 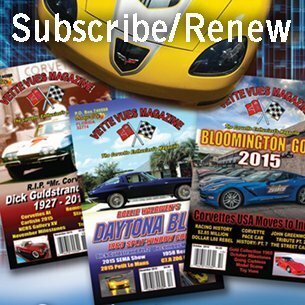 As a matter of fact, from 1954 to 1981, Chevrolet manufactured 700,000 Corvettes in St. Louis, Missouri. Posing with their new 1965 Corvette Sting Ray Convertibles in St. Louis, are the Tangier Shriners who just picked their new convertibles up. 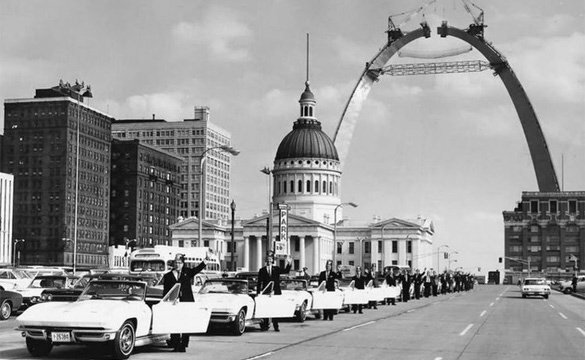 Tangier Shriners 1965 Corvettes in St. Louis. The 1965 Chevrolet Corvette (C2) is the second generation of the Corvette sports car. It was produced by the Chevrolet division of General Motors for the model years of 1963 to 1967. It is also known as the Chevrolet Corvette Sting Ray. 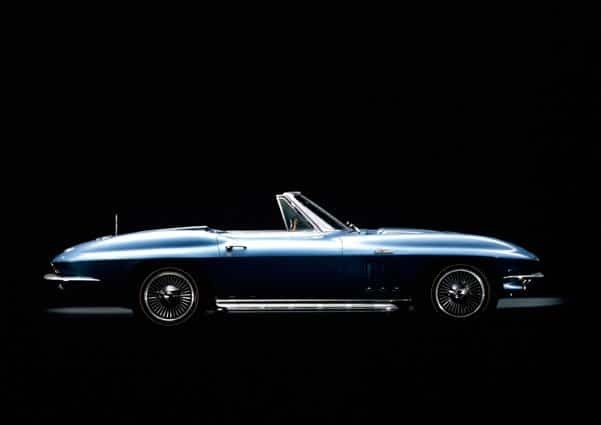 The 1965 Corvette Sting Ray became fierce with the mid-year debut of the “Big-Block” 396 cu in engine producing 425 hp. This was the first year for the Big Block a 396ci, 425hp engine that also required a special hood. 1965 Corvette Magazine Ad about the new Turbo-Jet 396 V8 Engine. They also add to the 1965 Corvette four-wheel disc brakes to counter the forward force of the new powerplants. 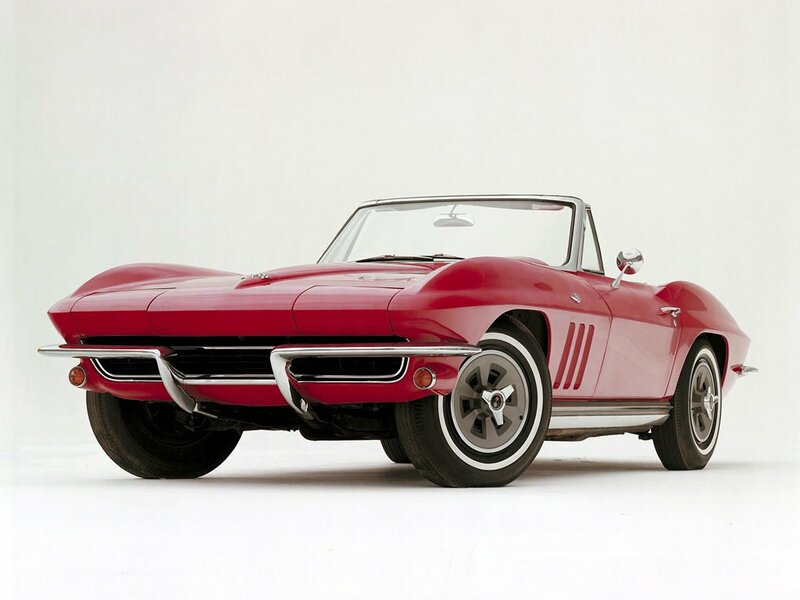 The Styling changes for the 1965 Corvette were otherwise small. It had new optional standard side exhaust pipes, a restyled grille, functional front fender louvers, and new wheel covers. This was the first year for Side mounted exhaust systems. NOTE: This will take a minute to load as it is 99 pages long. 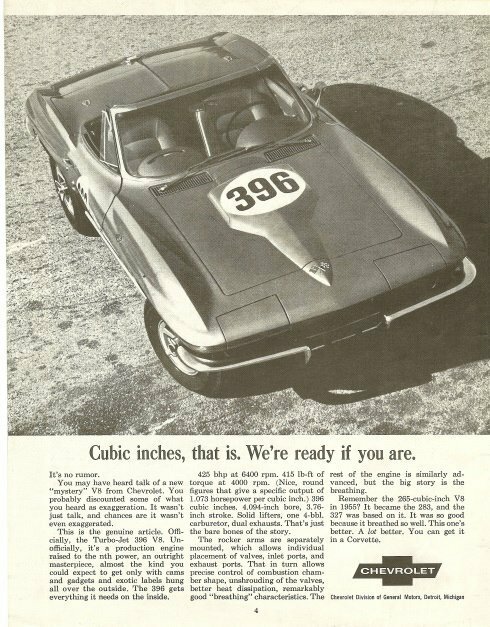 We have included with our 1965 Corvette Specifications a historical photo from General Motors Archives. 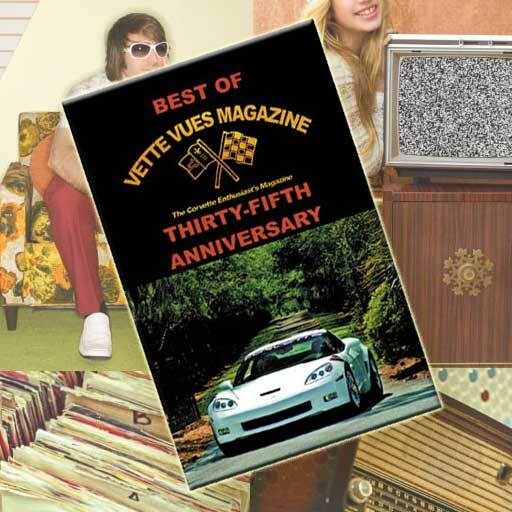 Tags: 1965 Chevrolet Corvette, 1965 Corvette Specifications, 1965 Corvette Vehicle Information Kit	.